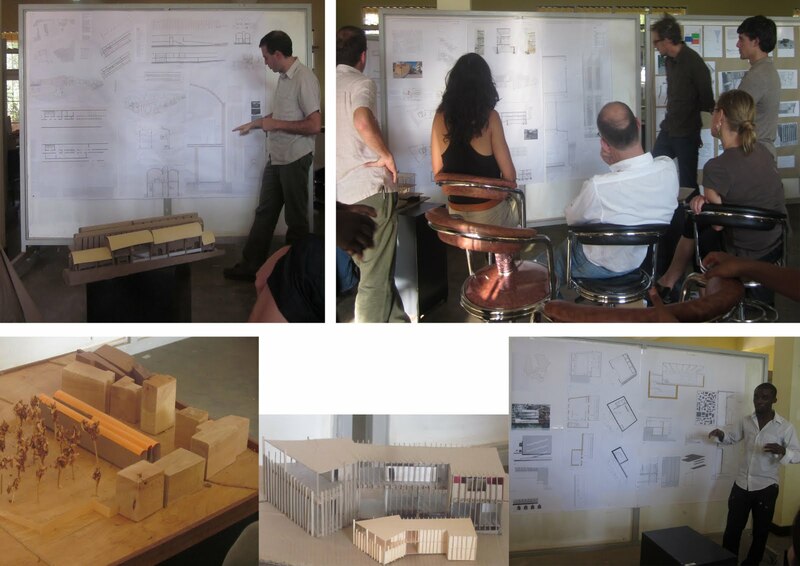 The third year’s final review took place the 24th august and started at 8.30 AM. The presentation was divided in morning and afternoon sessions. For the afternoon session the new external guests were Garret Gantner lecturer at FAED, Ben Hartigan from Mass Group and Bruce Engel from Sharon Davis design studio. The final reviews were organized in couples, were students with similar projects presented their projects to the guest and colleagues and received the crits and opinions. 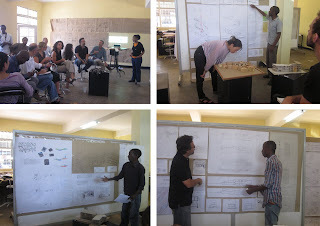 The project was Swahili Woodwork Restoration and Exhibition Centre based on the existing model of the Research Institute of Swahili Studies of Eastern Africa (RISSEA). The students were given 3 sites; Piggott place, government square and one adjacent to the cemetery and fort Jesus. Today Mombasa’s Old Town is suffering from a progressive loss of productive activities. The majority of tourists arrive in Fort Jesus, where they are met by guides which bring them around on a fast paced walking tour, and then leave. They spend little time and money on the ground, thus failing to contribute to the revitalization and preservation of the neighborhood. Simultaneously the pressure by real estate development is pushing the old inhabitants outside of the Old Town. New, market driven, developments are constantly being proposed without any consideration of the history and tradition. With their design, the students have been invited to propose an alternative model for this, a cultural institute which will promote the future of the old town. After the presentation students, instructors and guests shared a drink together.